Clay Hansen, his daughter Rochelle McCorkery and his wife Shiela Schwarz sip syrup at Chadwick Craft Spirits on Maine Maple Sunday in Pittston. 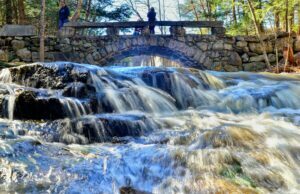 The Chadwick family harvests sap and evaporates it into syrup that is also used as an ingredient at their distillery. 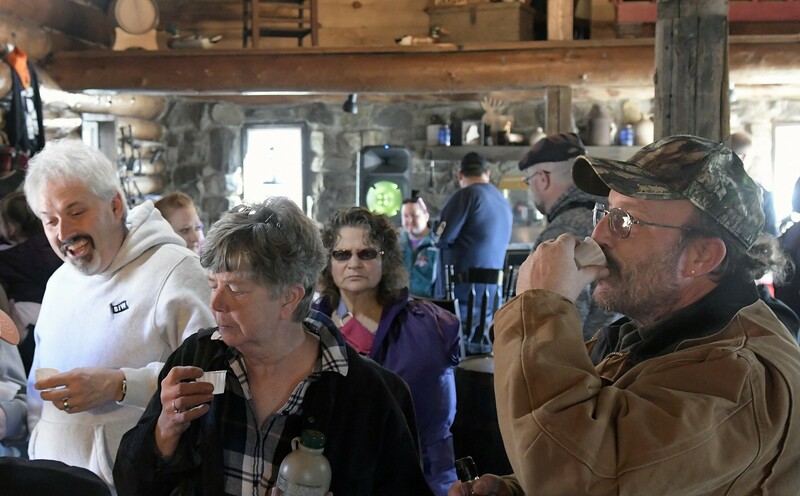 Guests sample Triple Distilled Maple Craft Spirits on Maine Maple Sunday at the Chadwick Farm in Pittston. The distillery creates liqueurs with sap harvested and syrup evaporated on the Chadwick's land. 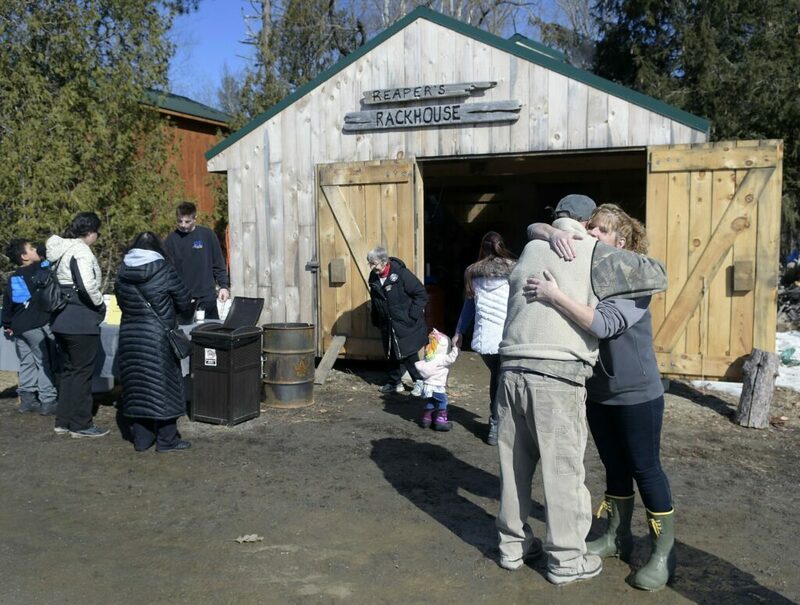 Friends, guests and family gather on Maine Maple Sunday outside the sugar shack at Chadwick Craft Spirits in Pittston. The Chadwick family harvests sap and evaporates it into syrup that is also used as an ingredient at their distillery. 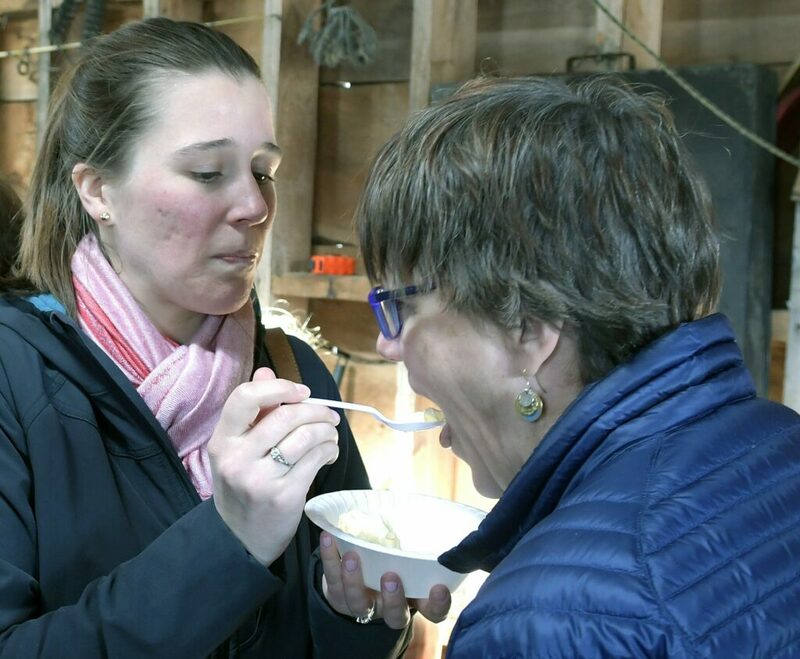 Ally Brophy feeds her mother, Karen West, some ice cream covered with maple syrup on Maine Maple Sunday at Mike's Maple House in Winthrop. 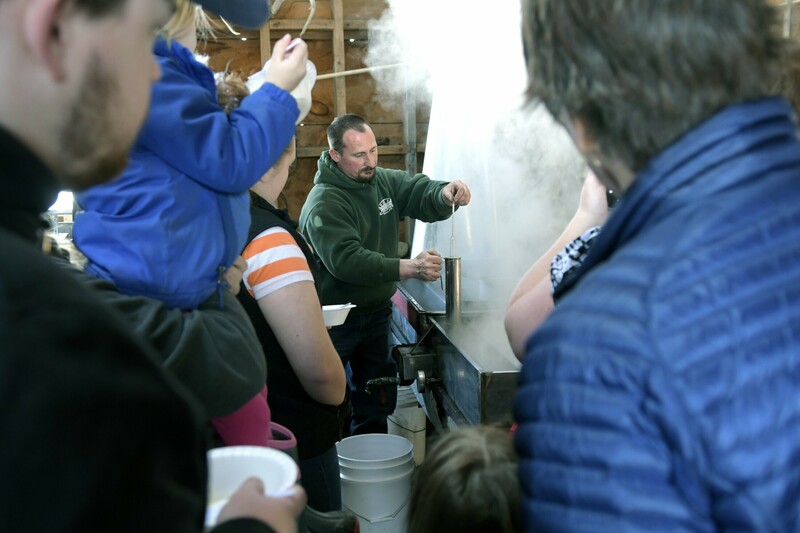 Jason Smith takes the temperature of sap in the evaporator at his family's sugar shack, Mike's Maple House, on Maine Maple Sunday in Winthrop.